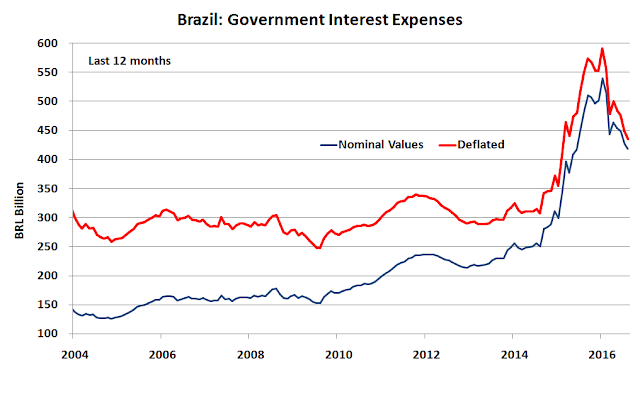 The real interest rates in Brazil have always been among the highest in the world, and this is reflected in government disbursements for the payment of public debt costs. 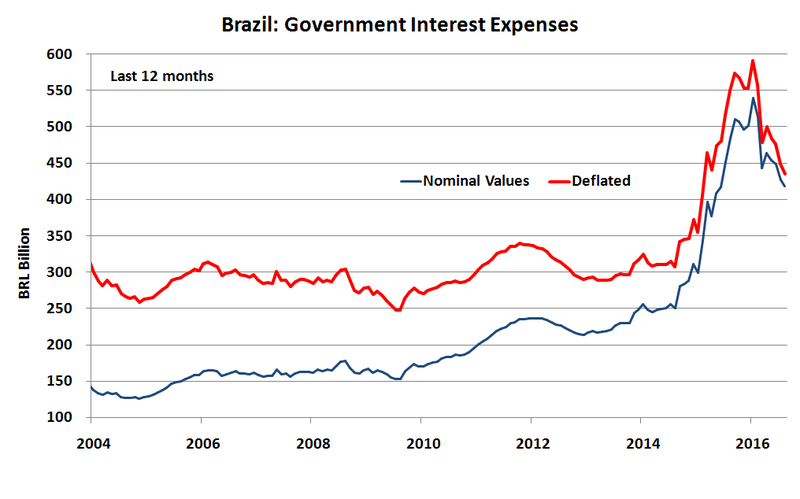 As we can see in the chart, government spending with the payment of debt interest fluctuated in today's values between BRL 250 and BRL 350 billion between 2014 and 2014, and accelerated from the end of 2014, with a peak close to BRL 600 billion in early 2016, and then was reduced for BRL 435 billion in August 2016. The acceleration of interest expense coincides with the increase in public debt (see post here). The prospect is that real interest rates in Brazil will fall, as has occurred in major economies of the world. A lower rate of interest should reduce the need for government to pay interest in the medium term, but in the short term, the costs must also reflect the high interest rates of the current stock of government securities.